Mountain Dew Kickstart - Fruit Punch - 16oz. Energizing fruit punch with just the right amount of KICK! 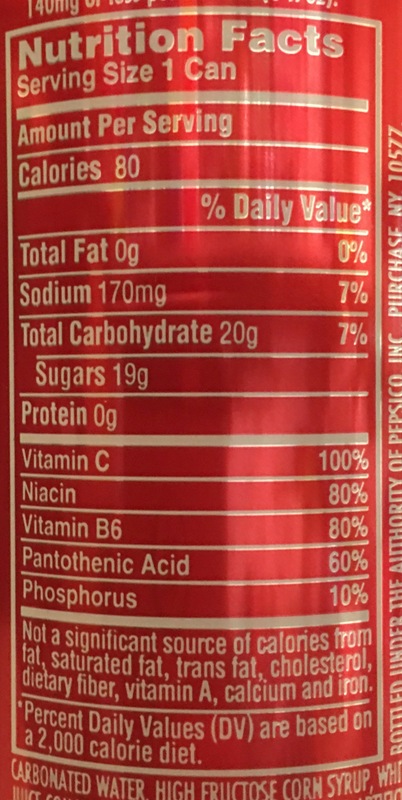 Carbonated water, high fructose corn syrup, white grape juice concentrate, citric acid, natural and artifical flavors, sodium hexametaphosphate (to protect flavor), potassium sorbate (preserves freshness), ascorbic acid (vit C), gum arabic, caffeine, acesulfame potassium, sucralose, red 40, niacinamide (vit B3), glycerol ester of rosin, yellow 5, calcium disodium edta (to protect flavor), calcium pantothenate (vit B5), sucraose acetate isobutyrate, pyridozine hydrochloride (vit B6).